THE PACIFIC-JERSEY CITY. 312 Pacific Avenue- Sleek Lofty Rentals. 2-Beds, 2-Baths in elevator building. Everything you want: Contemporary kitchens, spa-like baths, ample closet space, washer & dryers in unit. Smart Home Thermostat, solar shades installed in every room, 8ft windows, flooded with natural light, stainless steel appliances, quartz counter tops, island ideal for entertaining, plus space for bike storage. THE PACIFIC- Newly constructed with a mix of steel, concrete and modern windows is located in Bergen Lafayette section of Jersey City - only a few blocks to Downtown, 20 Min to Downtown NYC, Hudson Light Rail Train Station, Shared Bike Service CITI-BIKE and Liberty State Park. Neighborhood is vibrant & full of culture, shops and new restaurants opening every day. SchoolsClick map icons below to view information for schools near 312 Pacific Ave Jersey City, NJ 07304. The data relating to real estate for sale on this web site comes in part from the Internet Data Exchange Program. Real estate listings held by IDX Brokerage firms other than Silver + Oak Realty are marked with the Internet Data Exchange logo or the Internet Data Exchange thumbnail logo and detailed information about them includes the name of the listing IDX Brokers. This information is provided exclusively for personal, non-commercial use and may not be used for any purpose other than to identify prospective properties consumers may be interested in purchasing. Home for sale at 312 Pacific Ave Jersey City, NJ 07304. Description: The home at 312 Pacific Ave Jersey City, NJ 07304 with the MLS Number 190002635 is currently listed at $2,400 and has been on the Jersey City market for 67 days. You are viewing the MLS property details of the home for sale at 312 Pacific Ave Jersey City, NJ 07304, which includes 2 bedrooms, 2 bathrooms and has approximately 0 sq.ft. of living area. 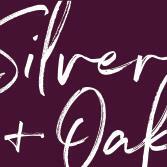 © Copyright 2019 Silver + Oak Realty. All Rights Reserved.